Criminal gangs are pushing black market alcohol in the UK’s major cities, an investigation has revealed, with the substances being sold to homeless people and illegal immigrants. The investigation, conducted by BBC London’s ‘Inside Out’ program, infiltrated two groups producing unregulated alcohol, with one group making up to £500 a month in sales. The investigation also found eight illegal distilleries in London, predominantly based in deprived areas of the city. “You can make rum and sell it if you want. So we are just bringing the tradition here,” he added. According to the most recent figures from HM Revenues and Customs (HMRC), illicit alcohol trading costs the British economy more than £1 billion a year, with the trade being facilitated by free movement within the European Union. 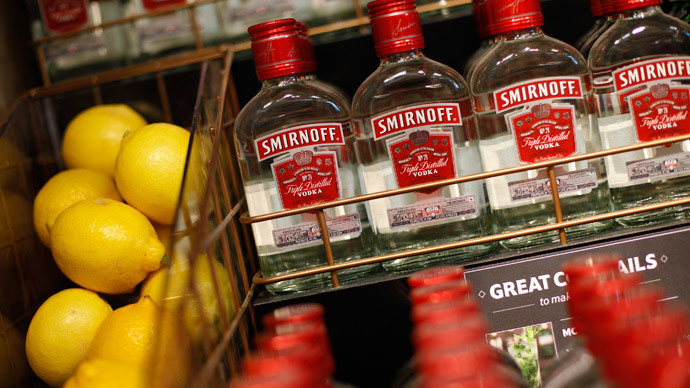 HMRC said they were working with security bodies such as the National Crime Agency (NCA) to tackle illegal alcohol trading, as well as plans to set up a joint alcohol anti-fraud taskforce, consisting of border officials, trade representatives and the Trading Standards Industry. “The public health implications of counterfeit spirits are significant, and production of illicit alcohol is clearly a very dangerous activity,” an HMRC spokesman said. The investigation found that illegal distilleries could produce several liters of whisky, vodka and rum at a relatively low cost – for as little as £3 a day. As a result, a number of vulnerable people have reportedly become “addicted” and “seriously ill” due to cheap alcoholic substances. In the UK, it is illegal to distill and sell alcohol without a license. However, the investigation found that the substances were being produced in countries where there was less oversight and regulation of the trade. Last year, British police warned the number of casualties caused by consumption of counterfeit alcohol has increased fivefold in less than five years. They report substances being sold on the street include dangerous chemicals such as methanol, chloroform and anti-freeze. The Trading Standards Authority noted that 73 percent of investigations involved tracing networks related to the trade of illicit alcoholic substances.